Welcome to Day 3 of the CAS-ual Fridays new release! Today we are featuring Mon Ami & Mon Ami Fleur (Fri-Dies)! 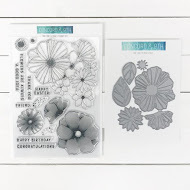 You know how much I love my MISTI and with these new stamps, wow....it's super fun to stamp! 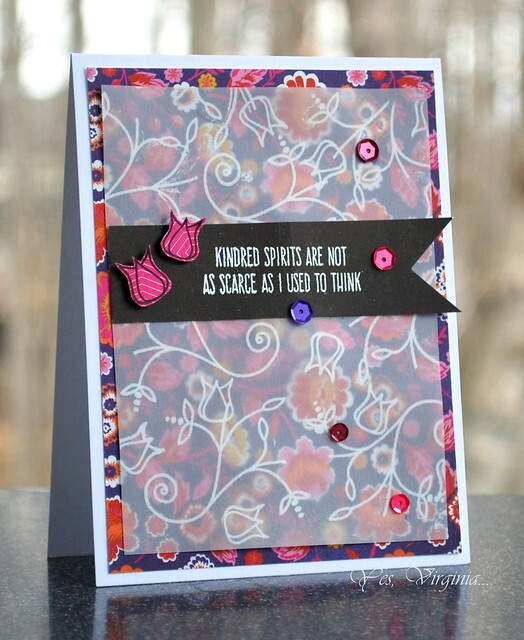 I do not enjoy measuring lines, so I actually just eye-ball the stamping with MISTI! It's not super perfect, but I think it looks fine without measuring! Also, you do not NEED those new Ombre Inks if you have a MISTI (just saying). 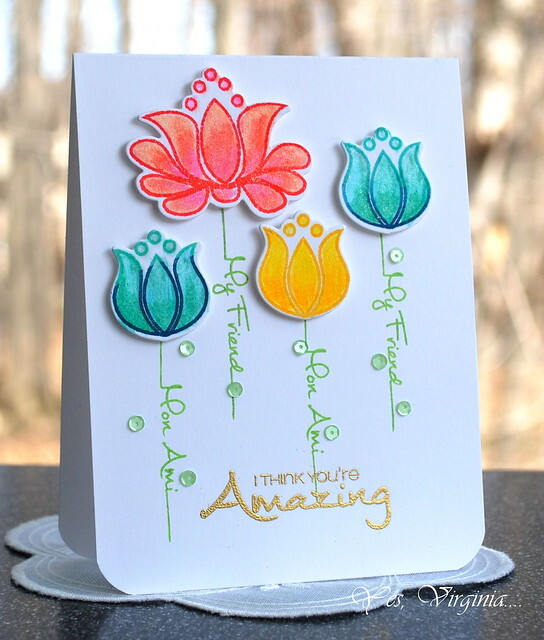 With multiple stamping by using a MISTI, you can stamp whatever colors you want. And see the variations in colors? Well, I didn't do anything special, I just inked them up with two shades of colors with MISTI! My 2nd card is easy to create because the die-cutting makes it so neat and uniform! I colored the flowers with Prisma color pencil and blended them with mineral water. 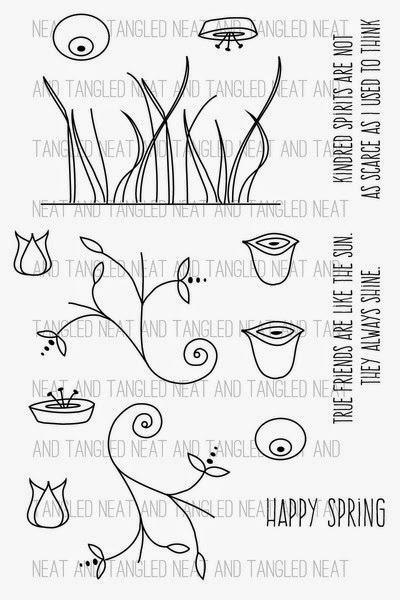 I love these sentiment and used them as stems! I added some small green sequins for good measure. I think it worked! 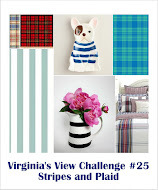 ALERT: there will be 1 random winner from one of the sneak peek days to win a $25 gift certificate to the store. 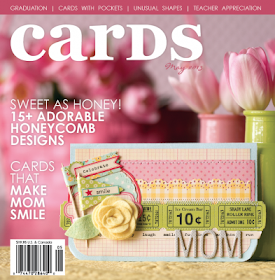 All the stamps and dies will be released on May 1st. Please check out today's new release over CAS-ual Fridays. I know you will love it! With the chalk ink and stencil, I created the background. Then I added the stamped flowers from Flowers on My Mind. 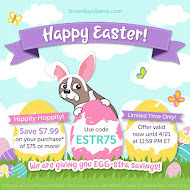 As always, Simon Says Stamp will be giving away a $50 voucher to shop at the fabulous Simon Says Stamp Store! 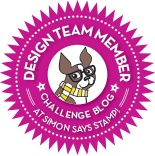 There are fabulous Give Aways and inspiration from fabulous designers on a daily basis over on the Simon Says Stamp Blog . 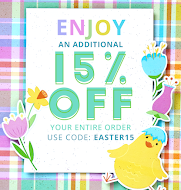 If you haven't subscribed by email, you may want to do so you don't miss out. 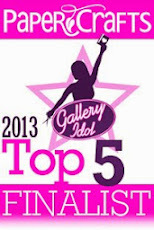 I hope you check out the DT's work! I can't wait to see what you create!! Welcome to Day 2 of the new release over CAS-ual Fridays! Today we are featuring Fun-Fetti, Sassy Smiles & Whole Shebang. Let me tell you, these stamps and Fri-Die are super FUN! For my first card, I used the Whole Shebang. 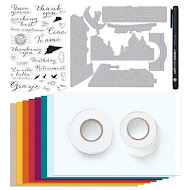 This set comes with many fun and creative sentiments. I love the large font of the HB2U. I started out with creating a colorful strip of paper, then I white-embossed and used Pico Embellisher to highlight the letters. For my 2nd card, I combined the Sassy Smile and Fun-Fetti Fri Dies and created this shaker card. 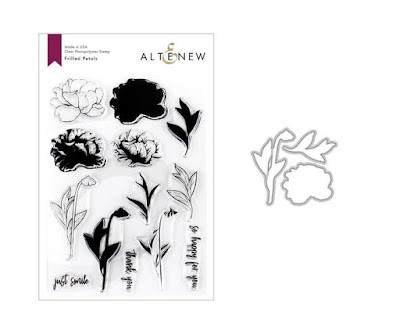 You can basically create your own confetti (with any colors or pattern paper of your choice) with these cute Fri-Dies! How cool is that! The rectangle element was from Shuffle Fri-Dies. Please note that there will be 1 random winner from one of the sneak peek days to win a $25 gift certificate to the store. 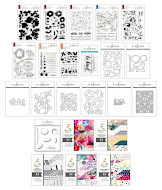 All the stamps and dies will be released on May 1st. I hope that you check out the inspiring work that my DT mates have created for you. Please head over to CAS-ual Fridays (see here) now. Hello friends! 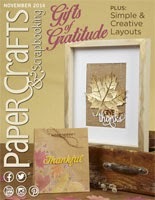 It brings me great pleasure to share my CAS-ual Fridays Stamps new release cards with you. Today is Day 1. Warning: this is a photo-heavy post. 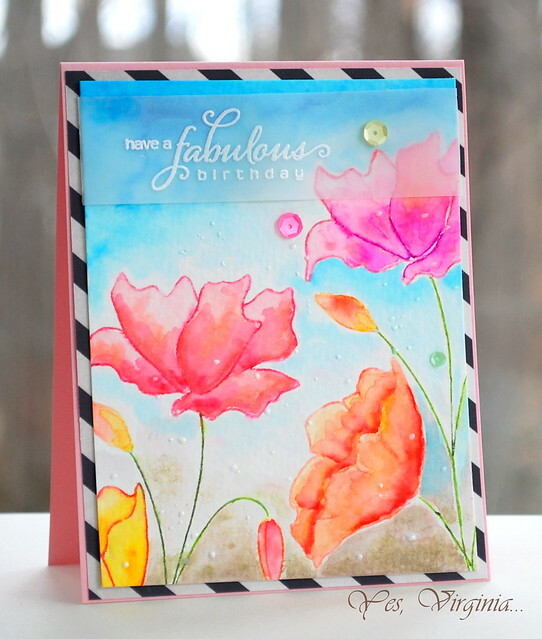 We are featuring two stamp sets (Lovely, Lovely Greeting) and one Fri-Die (Lovely Links). I made two cards with these sets. The stamps are super fun to play with. Notice the colorful borders? I had fun inking them up one color at a time with MISTI! I added a strip of black and white pattern paper. The white embossed sentiment is tres chic, don't you think? 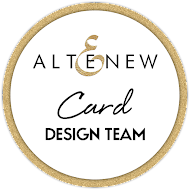 My 2nd card was created with some stamping and heavy gold-embossing of the links! I think I embossed it ...like 4-5 times! Don't you just love the sentiment!? I know I do! 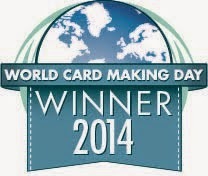 My 3rd card (my favorite! )....I think you can tell that I love love love these Fri-Dies ( Lovely Links). It looks like I spent a ton of time making it, but I really didn't! I happened to have this pattern paper and matched it up with the Lovely Links. The hand-stitching on the sentiment did take some time, but other than that, it was super quick and easy! I couldn't help myself by adding some colorful sequins...As you can tell, I just love colors and am all about FUN! I strongly encourage you to check out CAS-ual Fridays Stamp (see here) and find out what my DT mates did with these awesome new products. is the name of the new stamp set from "Falling for You" new release by Simon Says Stamp. The card idea was "circling" (pun intended) around my head, so I had to get it down and make it! I started out with the stamping of circles. 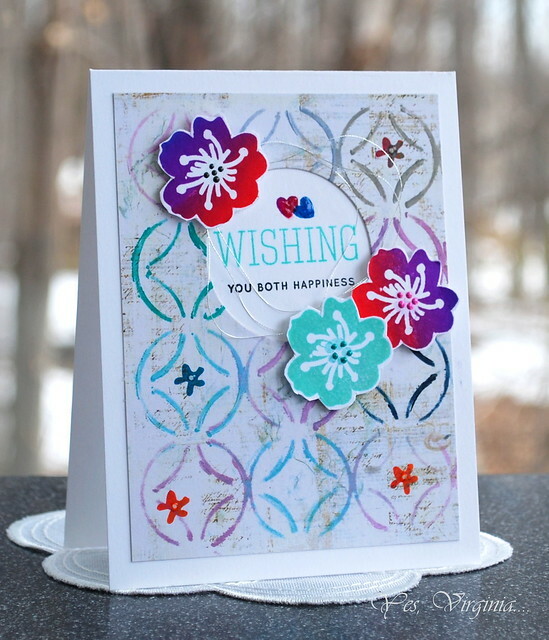 With the help of MISTI, I was able to get the circles precisely stamped in assorted colors. All that glitters is not gold----so true! 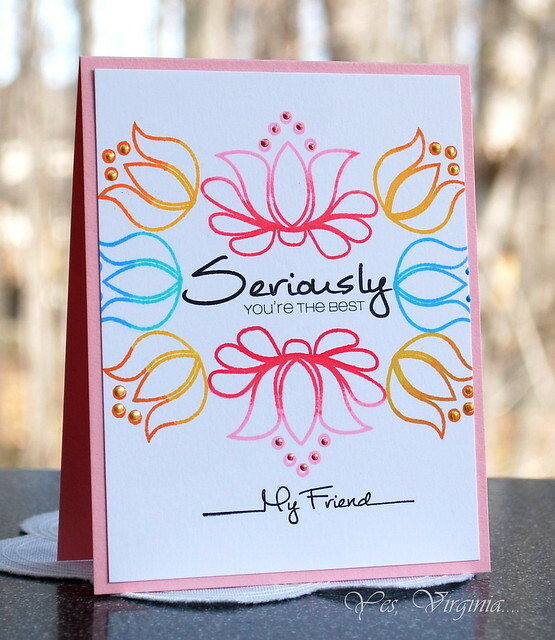 After stamping the two larger circles, I decided that the card needed a WOW factor. So I threw in the third wheel circle and added the shaker element with confetti. 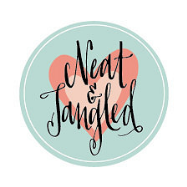 I was one of the lucky winners of the Neat and Tangled new release blog hop a while ago. And this stamp set was the prize! Thank you, Miriam (who designed this stamp set), for picking me! I had a plan....a grand plan for this stamp set. After two tries of embossing the images in white on vellum with the help of MISTI, I decided that I needed to make it work despite the poor outcomes. I used my anti-static powder bag before embossing, but the embossing was still too messy. I turned the white- embossed image and used the backside. Then I matched it up with this busy Basic Grey pattern paper (which I had no idea what to do it with). 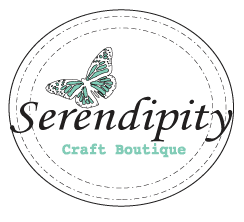 I am passing on some info about classes over Craftsy ( please see my side bar). 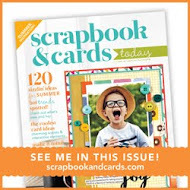 Create Stunning Birthday Cards (w/ Kimberly McGray) <---- FREE! Vibrant Stamping (w/Laura Contoni-Bassen) <----$14.99! 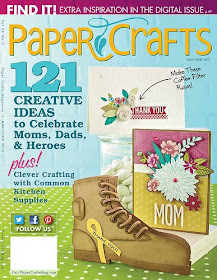 Top Trending Free Paper Crafts Templates <----FREE! Signing-up is super easy, I used my Facebook account and it was so convenient. I was in the mood for coloring the other day and was itching to play with my new 3rd set of Spectrum Aqua Markers (Floral). You may have heard lots of rave reviews about these water-coloring markers already. But I can tell you, these markers sure my you feel like "you can do anything"!! First, I used MISTI to help align the stamp and then stamped the images with Aqua Markers. It's easy to manipulate the stamp when you can check the image (with Misti) before you make that first impression. Then I spent a good half hour coloring this Divine Cling Stamp from Penny Black. OK...perhaps it took longer? I don't honestly know. I really enjoyed the process of coloring (which is rare). I am not known as a patient person ( my kids have made it known to me ) to color large open images like this. But with these markers, I kind of felt like an "artist"! Here was my first attempt with the same stamp with Aqua markers (if interested). Besides coloring the images with Spectrum Aqua markers, I added some shine with Gelato Gold (at the bottom) and splattered the white Pico Embellisher for the white dotty details. Signing-up is super easy, I used my Facebook account and it was so convenient. I thought it would be good to pass on these info. Hope you enjoy your weekend! Thanks so much for stopping by! 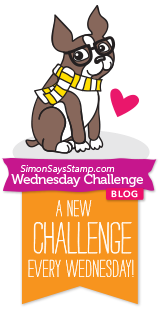 Simon Says Stamp April Card Kit--Take 2!! Working with Die Cut Scraps! It's All About the Sentiment! 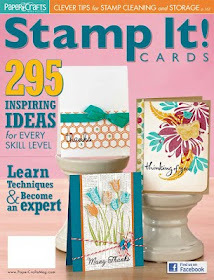 Monthly Stamp Study is Coming!